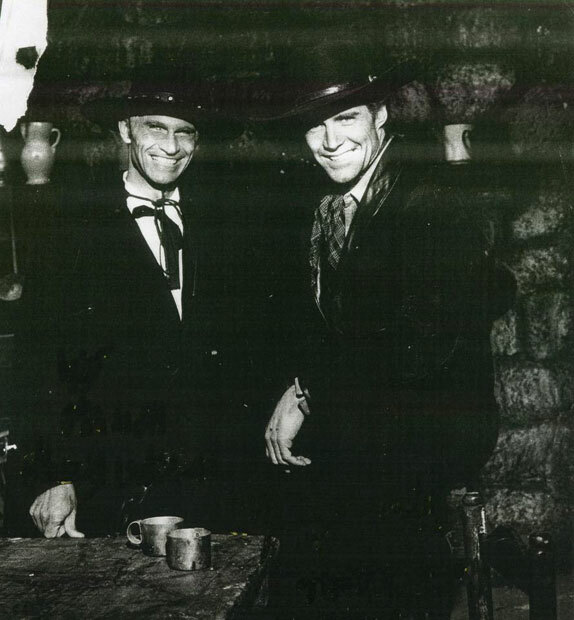 Gordon Mitchell pays a visit to Steve Reeves on the set of A LONG RIDE FROM HELL. Gordon was making a Spaghetti Western for the same studio that day and they took this photo. This photo is priceless as both PEPLUM stars never worked together when they made their Sword & Sandal films. Thanks to Pasquale for the photo.